Mrs Walker lived next door and when aged 4 years of age, I remember sitting at her feet playing with a large tin of buttons. She could make mats out of old stockings and pull jumpers apart and reknitt them. My favourite time of the day was spent peeling potatoes in her kitchen ‘helping’ her get dinner ready. She cooked me boiled eggs and toast soldiers for breakfast, when I had sleep overs. To say that I worshipped the ground she walked on was an understatement and then we moved away and I didn’t get to see her anymore. While as a teenager, less than 10 years after I left the small town where Mrs Walk still lives, I was on a mission to educate myself on how to learn to sew, cook and do all the things I loved about the time I spent with our wonderful neighbour next door. 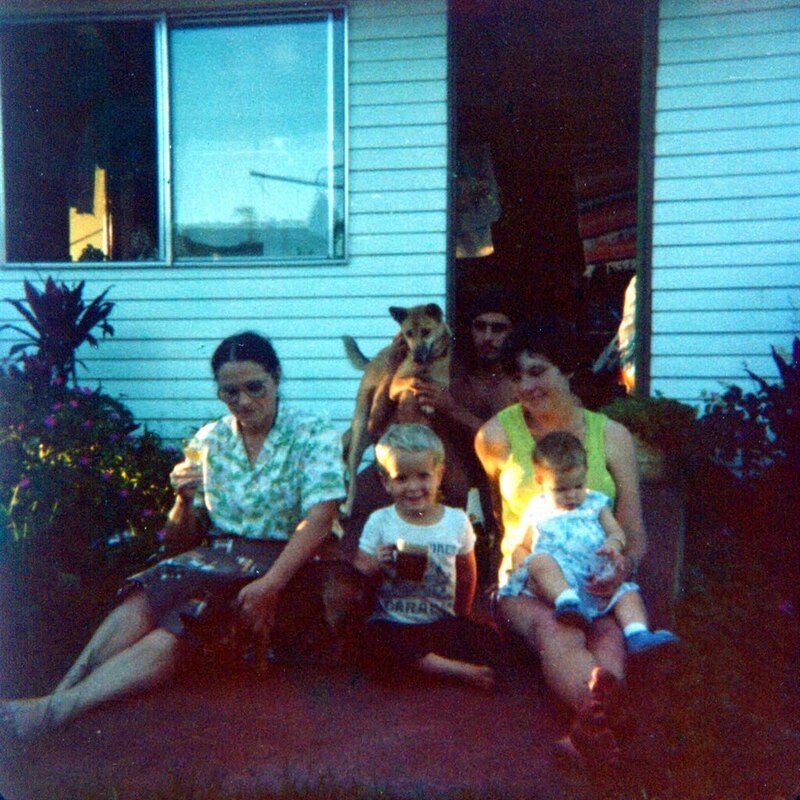 That is Mrs Walker on the left, Killer the dingo, Trevor her son, Unknow lady with a baby and my baby brother.